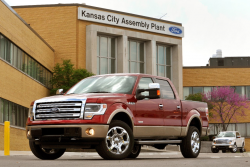 Ford allegedly concealed illegal emissions software in F-250 and F-350 Super Duty diesel trucks. 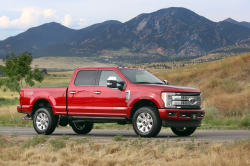 August 6, 2018 — A Ford emissions lawsuit alleges customers of Ford F-250 and F-350 Super Duty trucks got ripped off when they wrongly believed the trucks were "clean" diesel vehicles. The proposed class-action lawsuit includes all current and former owners and lessees of 2011-2017 Ford F-250 and F-350 Super Duty diesel trucks. According to the lawsuit, Ford claimed the diesel engines reduced nitrogen oxide emissions by 80 percent over previous models. But the plaintiffs say scientific testing shows the F-250 and F-350 trucks should have never been certified for sale by the Environmental Protection Agency. Ford may have promised fuel economy, power and towing capacity, but this can allegedly only be accomplished by turning down emission controls when the software senses the trucks are not in an emissions testing environment. The class-action alleges F-250 and F-350 trucks emit illegal emissions five times the standard when the trucks are in stop-and-go traffic, but nitrogen oxide emissions exceed standards by 30 to 50 times when towing a trailer. Ford allegedly falsely represented the Super Duty trucks by omitting information customers should have known about. Instead, Ford charged customers a premium of $8,400 for diesel trucks compared to gas-powered trucks. In addition to filing suit against Ford, the lawsuit alleges the automaker conspired with parts manufacturer Robert Bosch to create the emissions software that allowed Ford to cheat. Saying Ford and Bosch were active participants to fool consumers and federal regulators, the plaintiffs argue the illegal software in the trucks detects when emissions controls can be manipulated. When the trucks are not being tested in a lab setting for nitrogen oxide emissions, they are allegedly spewing illegal nitrogen oxides that make the trucks anything but "clean." The lawsuit also alleges Ford advertised the trucks as "fuel efficient" and "best-in-class" in fuel economy, but the plaintiffs claim those things weren't possible unless the engines were equipped with illegal emissions defeat devices. 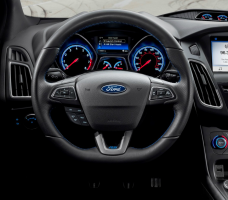 According to the lawsuit, Ford could allegedly advertise higher power and fuel efficiency from its diesel engines while still passing the cold-start emissions certification tests by placing the selective catalytic reduction in front of the diesel particulate filter. 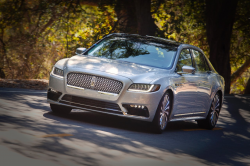 The Ford emissions lawsuit was filed in the U.S. District Court for the Eastern District of Michigan - Ruston, et al., v. Ford Motor Company, and Robert Bosch GMBH, et al. The plaintiffs are represented by Hagens Berman Sobol Shapiro LLP, The Miller Law Firm PC, Carella, Byrne, Cecchi, Olstein, Brody, Agnello, P.C., and Seeger Weiss LLP. CarComplaints.com has complaints from owners of Ford F-250 and F-350 trucks.